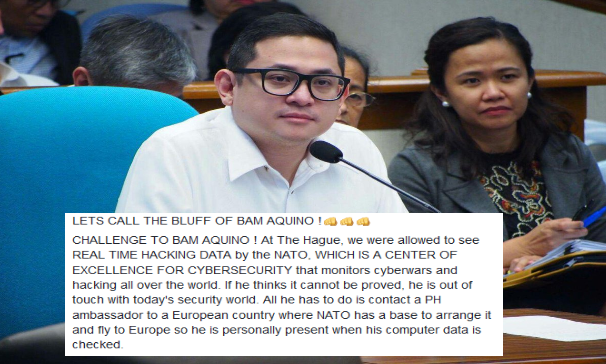 A Facebook post from Paula Defensor Knack, sister of the late senator Miriam Defensor challenged Senator Bam Aquino to prove the hacking incident is true and advised him to contact PH ambassador to European country, where North Atlantic Treaty Organization or NATO is also based, to arrange a flight to personally present his computer data for inspection. 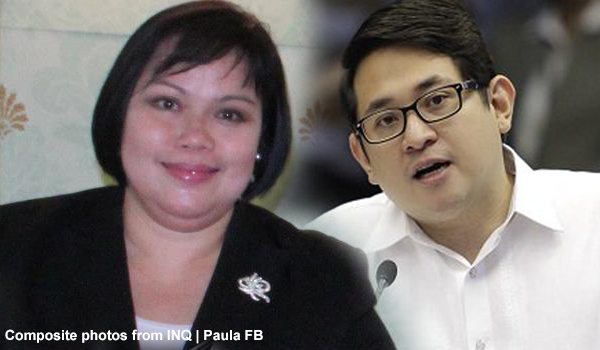 Paula also challenged Aquino to resign and incarcerate his self once the allegation was proven not be true. October 12, 2017, when a report came that some of the staff’s email were hacked and including those of Liberal Party that made Senate Minority Leader Franklin Drilon and Senators Paolo Benigno Aquino IV, Francis Pangilinan, Antonio Trillanes IV, and Risa Hontiveros, seriously concerned. Pangilinan's official email address for releasing statements to the media was also hacked and the LP’s official email for media statements was also compromised. They said that hackers used the staff and party addresses to send emails. 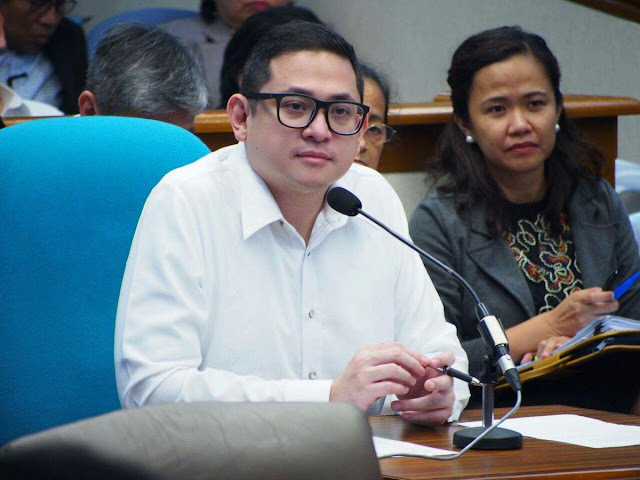 The senators already reported the incident to the NBI and still waiting for updates and are now trying to seek for Senate President Aquilino Pimentel III who is a loyal ally of President Duterte. The Minority Bloc suspected that the hacking was planned to blame the opposition for “imaginary destabilization attempts” as supposed evidence. 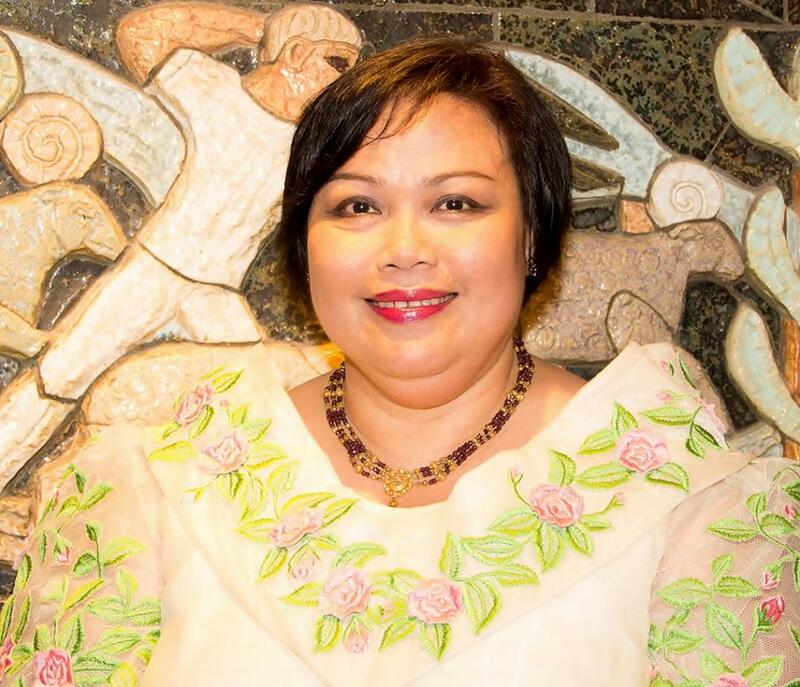 Paula is an international law expert based in Hague Netherlands where she attended a Cubersecurity Conference as a legal advisor to the Philippines. During the conference, she was allowed to see “Real Time Hacking Date” by the NATO, a center of excellence for cybersecurity that monitors cyberwars and hacking all over the world. “We participated in the conferences on the drafting of the Tallinn Manuals on the International Law Applicable to Cyber Operations. This was explained to us using REAL TIME DATA. WE CAN SEE where the hacking takes place, from where, and to where. Like other experts,” Paula Added. 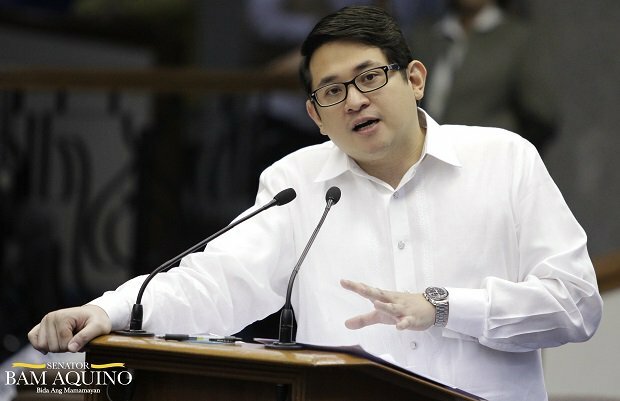 CHALLENGE TO BAM AQUINO ! At The Hague, we were allowed to see REAL TIME HACKING DATA by the NATO, WHICH IS A CENTER OF EXCELLENCE FOR CYBERSECURITY that monitors cyberwars and hacking all over the world. If he thinks it cannot be proved, he is out of touch with today's security world. 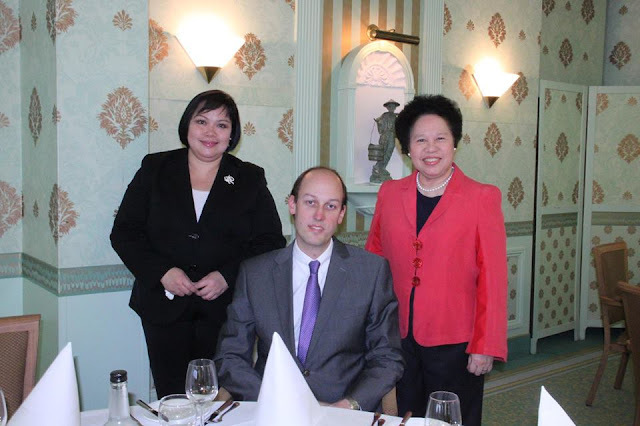 All he has to do is contact a PH ambassador to a European country where NATO has a base to arrange it and fly to Europe so he is personally present when his computer data is checked. The Hague has been the venue for several cybersecurity conferences which I attended as Legal Advisor to the PH Embassy. This is held regularly with the cooperation of NATO and foreign intelligence agencies in order to monitor, secure, and create norms for cyber security which is a threat to the whole world. If his claim of hacking is genuine, THEN COME TO EUROPE WE WILL VERIFY THE DATES AND THE SITES with your personal presence and written consent. If it can be proven that your sites were not hacked, YOU MUST RESIGN FROM THE SENATE AND BE JAILED FOR DESTABIILIZATION. 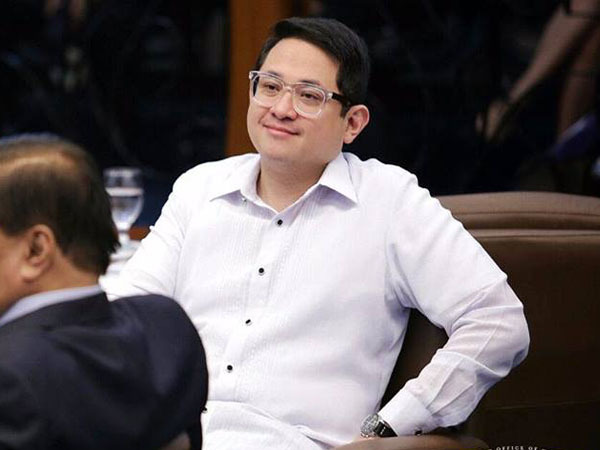 THIS IS A MATTER OF PEACE AND SECURITY WHICH YOU CANNOT TAKE LIGHTLY AS A SENATOR by simply claiming you were hacked. The world of security and defense is very advanced these days. I think you dont know that. C'mon Bam....be a man. go to the Hague to verify. Accept Paula's challenge. Save your face and that of LP. Show the people of Filipinas you and your group are not trying to destabilze the country. Checkmate dude!! Try to think another excuse Boom! Aquino we are not stupid like you to buy such a naive alibi shame on you.